Natural slate is a product with unmatchable technical properties that adapts to any project, always providing considerable added value. Moreover, it gives any roof or facade an inimitable, timeless, unchanging appearance. Its elegance and personality confer a unique character. Moreover, the latest trends in architecture are now looking for more sustainable buildings, using natural materials with the lowest carbon footprint. 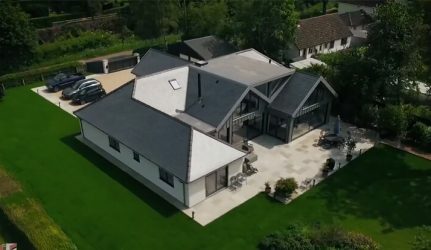 And there is no better material for a greener construction than slate! So now, natural slate is also becoming fashionable! 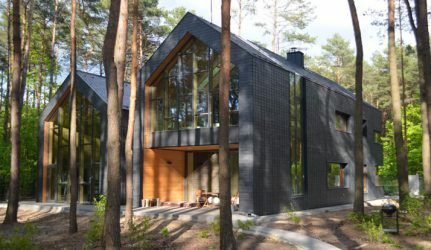 These 4 projects using CUPA PIZARRAS slates provided by Mosas, our partner in Lithuania, confirm it! 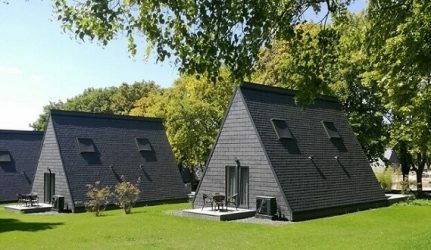 These rest houses were designed by Audrius Ambrasas and Vilma Adomonyt? and they are located in Vilnius, the capital and the largest city of Lithuania. 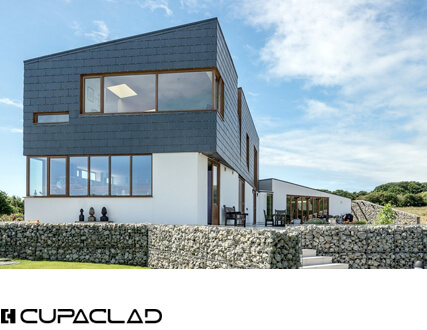 They were built in 2014, and their facades are cladded in CUPA PIZARRAS natural slates, blending into the natural environment perfectly. For this project, Mosas supplied different slate formats (30×60; 30×30; 30×20) that result in a dynamic design. 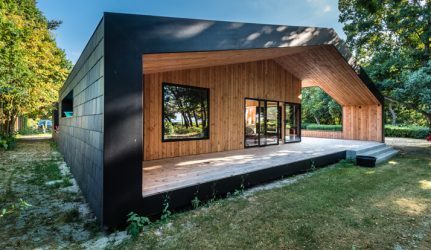 These lodgings are located in Palanga, a seaside resort town in western Lithuania, on the shore of the Balthic Sea. They were built in 2015 through collaboration between Ireko (contractor) and Mosas, who provided our natural slate (format 40×25 split to an average thickness of 7-9 mm). The combination natural slate façades with glass windows and metal balconies put the finishing touch to this contemporary architectural design. Rum¨i¨k?s is a Lithuanian town situated 20 km east of Kaunas on the northern bank of Kaunas Reservoir. Southern part of the town is now under the waters of the artificial lake. 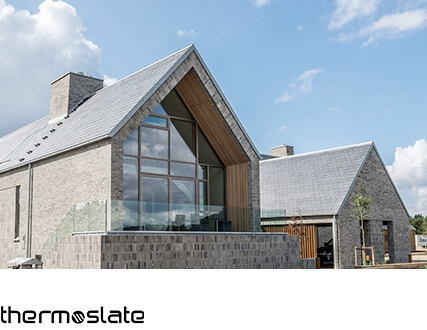 This house, built in 2013, has a CUPA PIZARRAS natural slate façade (slate format: 40×20). Vertical wood shades were also added to showcase the multiple possibilities of natural materials in modern architectural projects. These contemporary apartments were built in Vilnius, in 2016. The combination of glass windows, wooden and slates (format 30×20 cm and 6 mm thickness) highlights spectacular design and a natural finish. This project confirms that architectural trends are now turning towards natural building and this new architecture will help create sustainable homes for modern times. 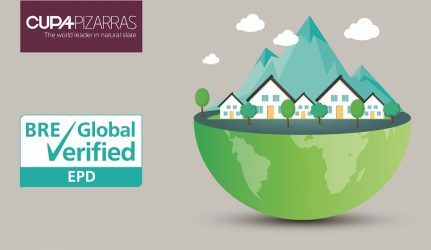 CUPA PIZARRAS’ slates are extracted and selected from the best quarries in Spain, but more than 98% of our production is exported to more than 60 countries throughout five continents. Mosas is our official distributor in Lithuania, and they are now celebrating their 10th anniversary! We have been partners for a long time, since February 2009, and we wish them all the best for the future! 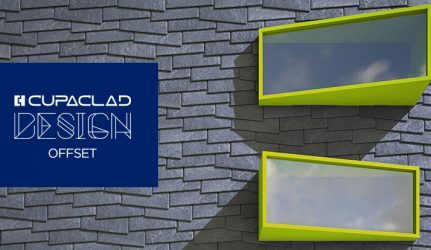 Would you like to stay updated on the latest trends in architecture? 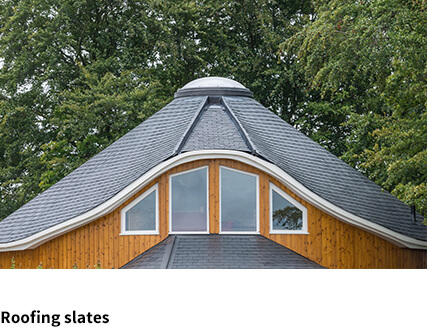 Download our slate inspiration brochure! How many solar panels do I need to reduce my energy bills?